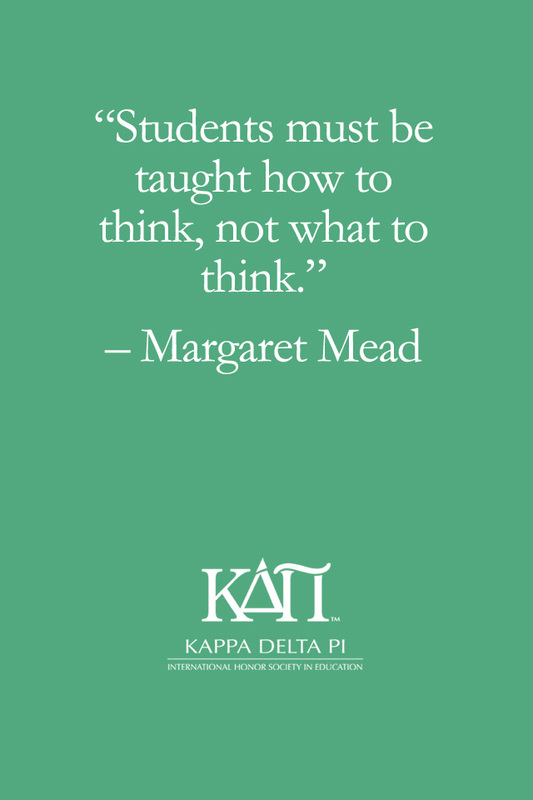 “Students must be taught how to think, not what to think” Wallpaper Now Available! 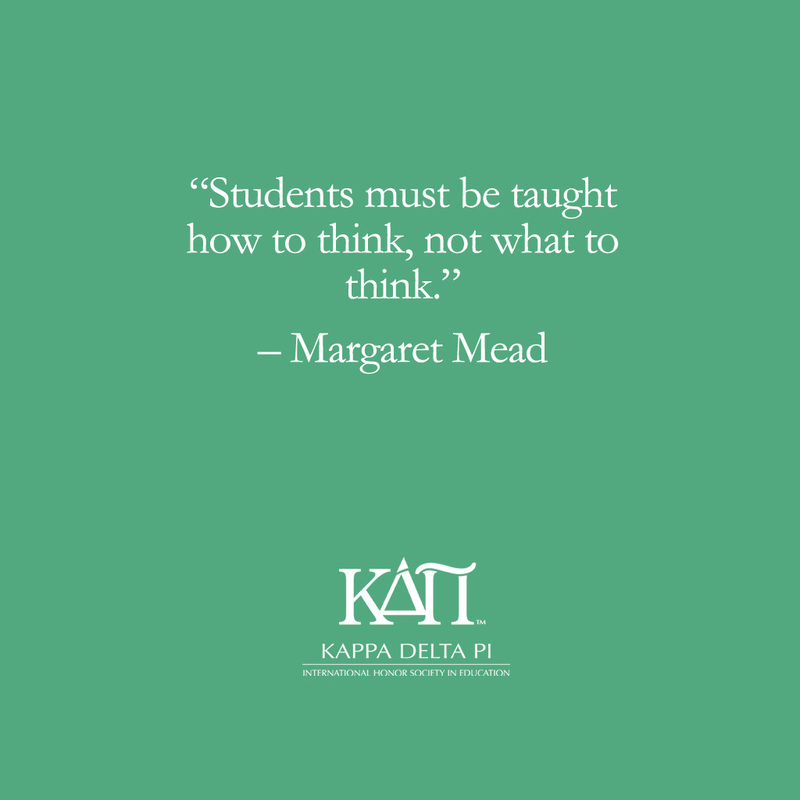 If you follow Kappa Delta Pi on Facebook, Instagram, and Twitter, you might notice that we post a dose of inspiration for you each Monday morning to help kick start your week. 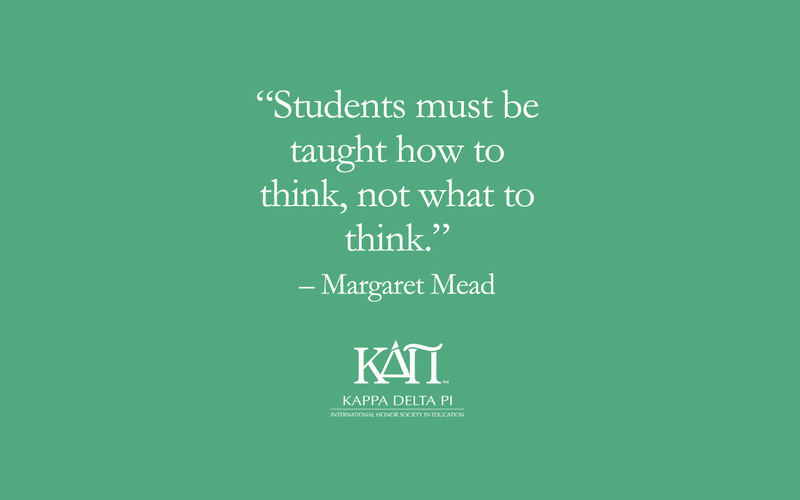 This #MondayMorningInspiration is one of our most popular social media features. We thought that you might want to keep these wise words front and center all month long, so we took August’s most popular #MondayMorningInspiration (based on likes and shares) and turned it into a downloadable wallpaper for all of your tech devices. You can download August’s inspiration for computer, mobile device, or tablet (respectively) by clicking on the gallery below, viewing the wallpaper of your choice in full size, and saving it to your device. We hope this inspiration warms your heart every time you see it. 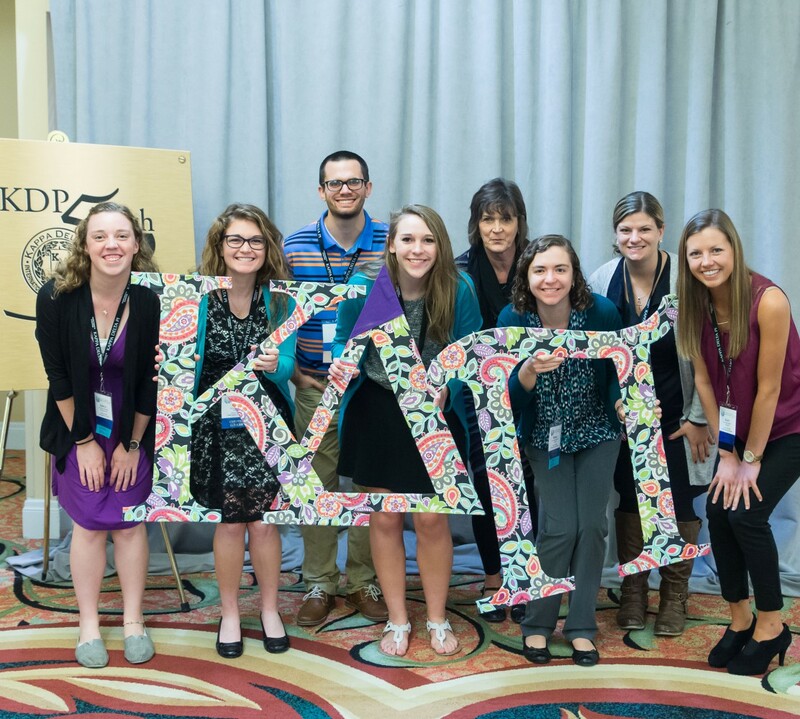 Chris Beaman is the Manager of Marketing & Communications at Kappa Delta Pi Headquarters.